Parents are an integral part of the rich fabric of WSMS life. Their presence is felt everywhere in the School, whether they’re grabbing a cup of coffee in the Parents Room/Library, staying for a few minutes in the classroom at drop-off, attending evening workshops, or helping out with the Fall Festival, Yearbook, or Auction. We are deeply committed to our partnership with parents, and we include caregivers, grandparents, alumni parents, and other educators in our community. Our vibrant Parents Association strengthens ties among parents through its many events and activities, and raises funds for the School’s financial aid program through the annual Auction. The Board of Trustees, which sets policy for the School and is responsible for its long-term sustainability and fiscal stability, consists mostly of current or former WSMS parents. We are in awe of the amount of time, talent, and goodwill bestowed so freely by our parent community. The PA co-presidents set the tone by assembling an energetic, creative, and hardworking group of committee chairs and class representatives. To inquire about volunteering, please email the PA co-chairs. Our expert and caring teachers welcome children into safe and prepared classroom environments each day. They function as supportive and wise guardians, observing and working with children individually or collectively. Our teachers work in teams consisting of a head teacher, experienced assistant teachers, and mentored student teachers. Head teachers are Montessori- and NYS-certified and have (or are in the process of getting) a master’s degree. 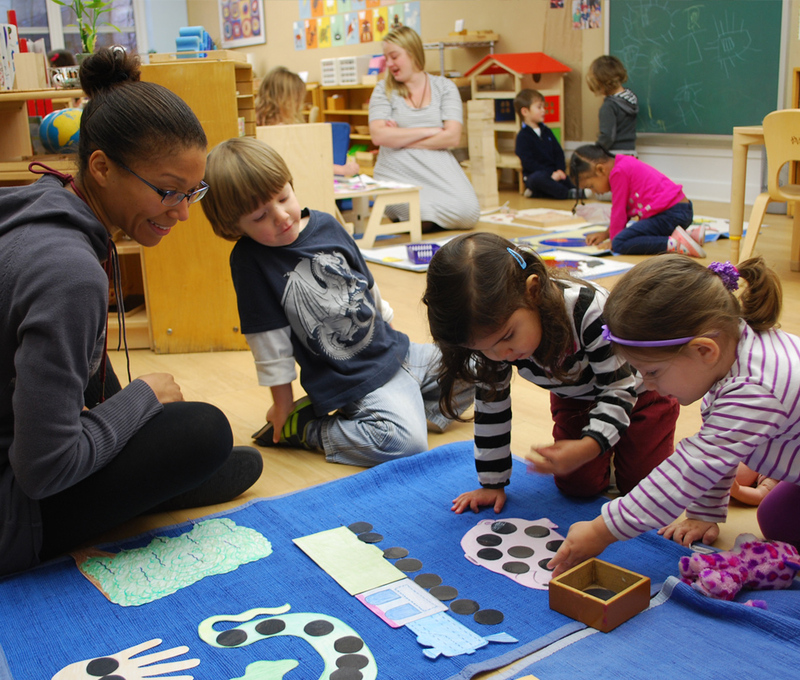 Student teachers are members of our accredited Montessori teacher education program. Our faculty also includes a movement specialist, a nature teacher, and an art specialist. Like our families, our faculty is culturally and ethnically diverse, collectively representing 16 countries and speaking 17 languages. Many of our teachers have an MA in Early Childhood Special Ed, making our teachers more expert in identifying children who may need interventions. WSMS supports our faculty through a strong professional development program and provides many opportunities for growth in professional knowledge, skills, and self-awareness. These opportunities include regular meetings between the Head of School and each team, mentoring and peer coaching programs, peer-to-peer meetings, workshops, seminars, a career ladder, and our visiting scholar program. Our multi-tasking, multi-talented administration does an amazing job of keeping our school running smoothly every day. The members of this formidable team come from diverse backgrounds, but they are united in their dedication to WSMS and their responsiveness to the needs of our students and their families. The primary responsibility of the Board of Trustees is to see that the School operates in the best interests of its students, teachers, and parents. The board sets the purpose and policies of the School, ensures its financial stability, plans for its future, and hires the Head of School, who is responsible for the day-to-day operation of the School. The involvement of the WSMS board has been instrumental in so many important accomplishments over the years. Among the highlights are the purchase of our current building in 1974; the hiring of Marlene Barron as head of school in 1979; the renovation of our rooftop play space and Garden level in 1983; the construction of a two-story addition at the rear of our building in 1996; the hiring of current head of school Mimi Basso in 2007; the “greening” of our classrooms and kitchen in 2009; the creation of our Parents Room/Library in 2011; and the establishment of the Founders Fund for Financial Aid in 2013. We are deeply grateful to our current and former board members, all of whom have given of themselves so willingly and generously in helping to secure the future of our school. For families moving on from WSMS, saying goodbye is by no means forever. 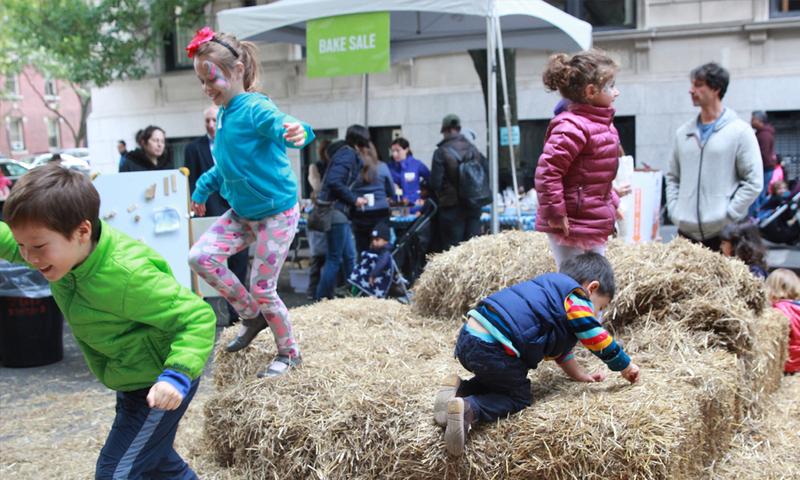 Many of the friendships formed here—some between children, some between parents—continue long after their days on West 92nd Street. This longevity also applies to the involvement of our alumni in WSMS life. Many of our alumni families remain active supporters of the School: as supporters of our Annual Fund, as guest speakers, as trustees on our board—sometimes as members of WSMS’s faculty or administration. If you are part of the WSMS community and have lost touch, we would love to welcome you back! Please fill out the Stay In Touch form to keep us up to date with changes in your contact information.